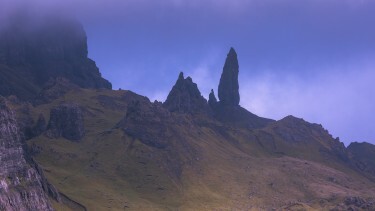 Carefully designed for those wishing to discover the splendours of Scotland and Northern England. 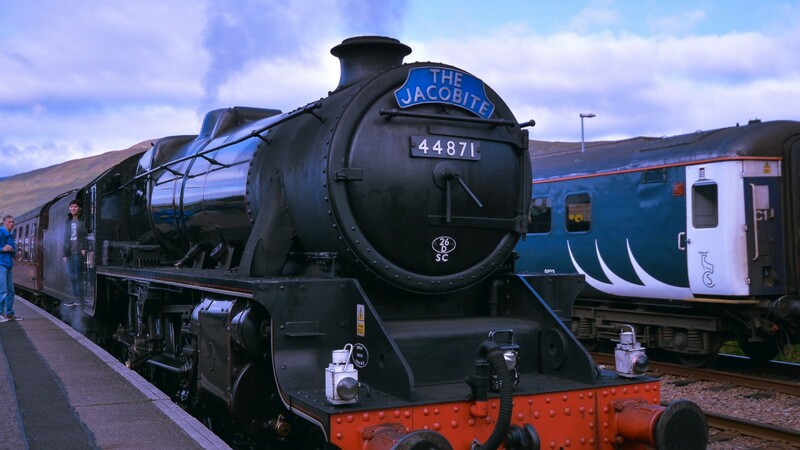 A spectacular tour by train, including a steam trip, through the West Highlands of Scotland, the Isle of Skye, Inverness, Edinburgh and then across the English border – just – so you can explore Hadrian’s Wall. 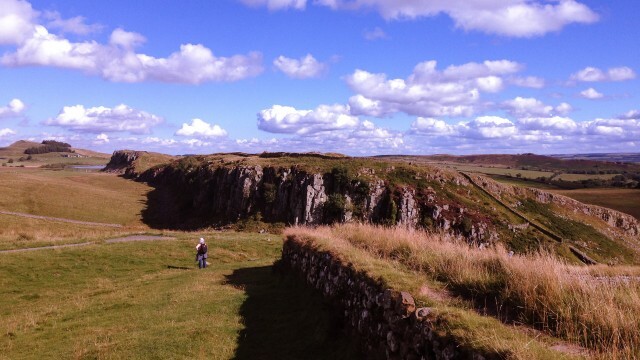 spend a day with a guide exploring Hadrian's Wall? Leave the bustle of the city behind and head away from Glasgow into the Scottish Highlands on a spectacular rail journey along the first section of the West Highland Line, voted best in the world by readers of Wanderlust magazine. You travel past the silvery waters of Loch Lomond then through the remote wilderness of Rannoch Moor. Spare a thought for the Victorian builders of this Scottish railway, laying floating sleepers for mile after mile across an empty bog, thus enabling you to sit back and relax and watch the marvellous scenery trundle by. Your destination is delightful family-run accommodation in the small village of Spean Bridge, in the shadow of Ben Nevis, the UK’s highest mountain. Today, you hop aboard again to continue to the end of the West Highland Line, this time doing it in olde worlde first class style on the famous Jacobite steam train. 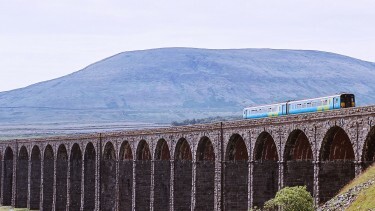 On your journey from from Fort William, you’ll cross the engineering marvel of Glenfinnan Viaduct (renowned from Harry Potter) and continue through more stunning highland scenery, before arriving in Mallaig. 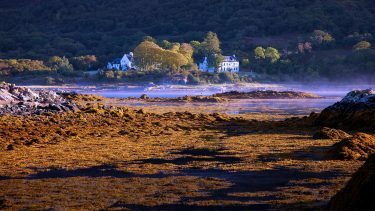 From here, you catch the ferry over the sea to southern Skye where a local taxi will whisk you the short journey to reach your white-washed hotel, right by the water’s edge and deep in the heart of the Gaelic community on this part of the island. A day to relax and explore the local area – on foot or local bus. Should you wish to travel more extensively on this large island, we strongly recommend hiring a car for a day or using the services of our local guide. 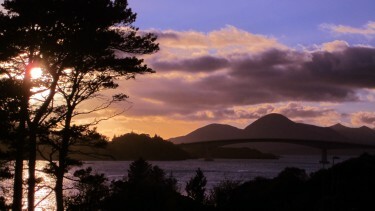 Another taxi ride across the Skye bridge, then catch your next train at Kyle of Lochalsh, for a majestic and dramatically picturesque trip to Inverness. You will stay in an award-winning family-run guesthouse close to the centre. Time to explore the highland capital, perhaps taking a boat trip on nearby Loch Ness or tour to Culloden. Continue south through the highlands to the popular tourist town of Pitlochry, then by taxi to the nearby village of Killiecrankie, where you will stay in an immaculate four star country house hotel. Time to explore the National Trust gorge, site of another famous battle, or visit nearby Blair Castle, with the adjacent House of Bruar – a mecca for Scottish souvenir shopping, or simply relax in comfortable country house surroundings. Return to Pitlochry for your train journey to Edinburgh, the Scottish capital, where the “New Town” is in fact already more than two centuries old! You will spend two nights here in a four star centrally-located hotel. 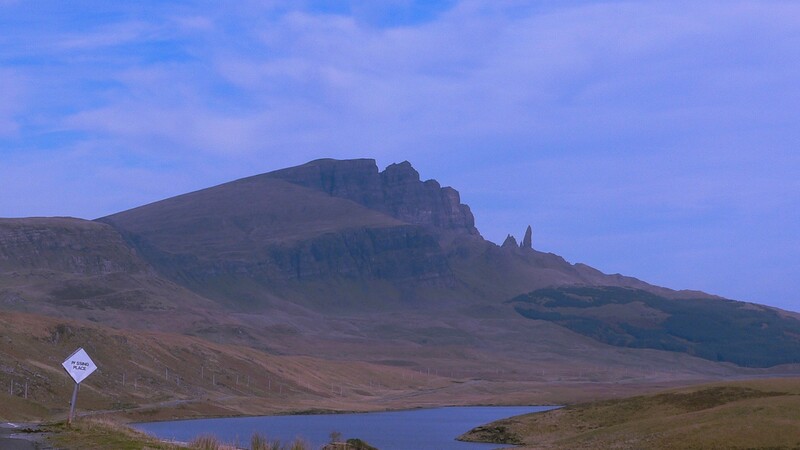 A day to relax and enjoy the city, wander the cobbled streets of the medieval “Old Town”, visiting the Castle and Holyrood Palace, or explore the Georgian “New Town” with its fine galleries, shops and restaurants. Royal Family enthusiasts should not miss the Royal Yacht Britannia, now berthed in Leith, a short bus or taxi ride from the city centre. The line from Edinburgh to the border with England at Berwick hugs the coast for much of the journey with jaw-dropping views over the cliffs to the North Sea. Berwick and the Northumberland countryside provide a stunning backdrop for the rest of the journey south. Changing at Newcastle, the train heads west along the picturesque Tyne Valley with rolling farmland and old Roman settlements. Reaching your destination by lunchtime this gives ample time to explore the local area or go for a first look at Hadrian’s Wall. Your accommodation is a traditional bed and breakfast in the centre of the village of Haydon Bridge. You are assured an incredibly warm welcome and your hosts will advise you on places to go and where best to eat. 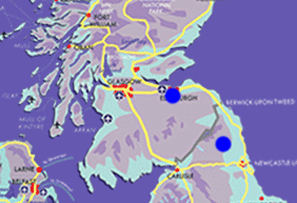 Hadrian’s Wall stretches 80 Roman miles (73 modern miles) from the Solway Firth to the North Sea. Completed in AD128 to defend the Roman Empire against the Picts, the Wall consists of a continuous line of defence with vallum ditch, mile castles, turrets, forts, temples and civilian settlements from the cities of Carlisle in the west to Newcastle in the east. It sits majestically on top of the Whin Sill, an ancient layer of igneous rock, and provides countless opportunities for stunning walks amid this spectacular Northumbrian landscape. Along its length visitors can choose to visit the Roman settlements of which there are many or simply enjoy the views and imagine what life must have been like for the Roman foot soldiers standing guard in the bleak mid-winter! The main visitor attractions on the Wall are the Roman Army Museum, Vindolanda where live excavations take place and the huge forts at Housesteads and Chesters. Guided tours are also available with knowledgeable local historians (advanced booking advised, we can arrange this for you at an additional charge). From Haydon Bridge you can return to Edinburgh or complete the circular tour to end in Glasgow. We can also arrange onward train travel to other destinations as requested. Please ask us for more details. 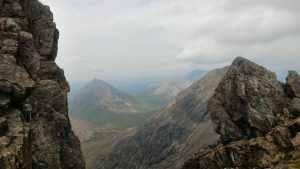 This route starts in Glasgow, travels by the world-famous West Highland Line up the West coast, crosses to the Isle of Skye, then travels by the North Highland Line to Inverness, before heading south through Perthshire, and on to Edinburgh. 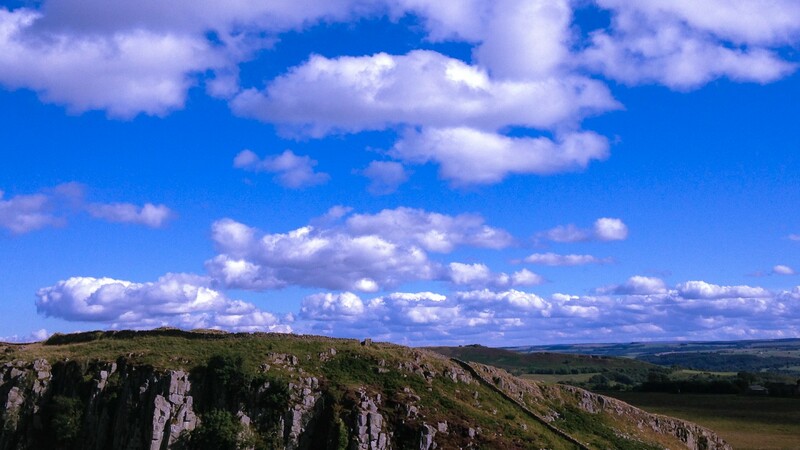 From there, head south via Newcastle to Haydon Bridge, beside the remarkable Hadrian’s Wall. £1690 per person for April & October, £1775 for May, June, July & September, £1875 for August. Price is based on two adults sharing a double or twin room for 11 nights in our hand-picked selection of small 3 and 4 star hotels. 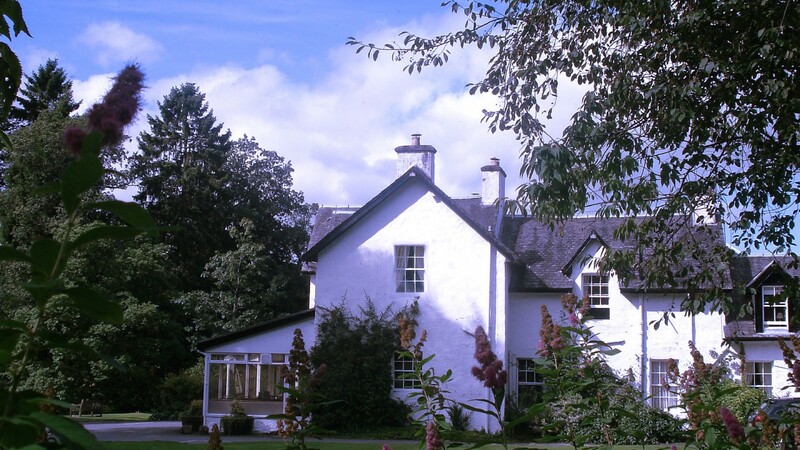 Dinner is included for 3 nights – the first night and both nights at Pitlochry. Other nights include breakfast. The holiday also includes rail, ferry and taxi travel as detailed above. 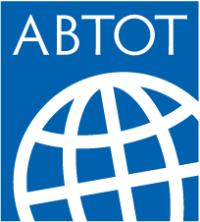 The supplement for a single traveller is £575 per holiday, based on single occupancy of double/twin rooms. Guided tours of Hadrian’s Wall can be arranged from £65 per person. This holiday can be arranged from April to October. 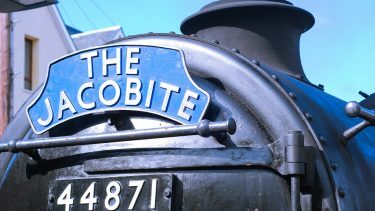 Holidays from mid May onwards usually include the Jacobite steam train. Outside these dates the same route can be booked, but a standard train service operates to Mallaig.